Agromin's Bill Camarillo was the featured speaker at the September 17 gathering of the Ventura County Coalition of Labor, Agriculture and Business (CoLAB). 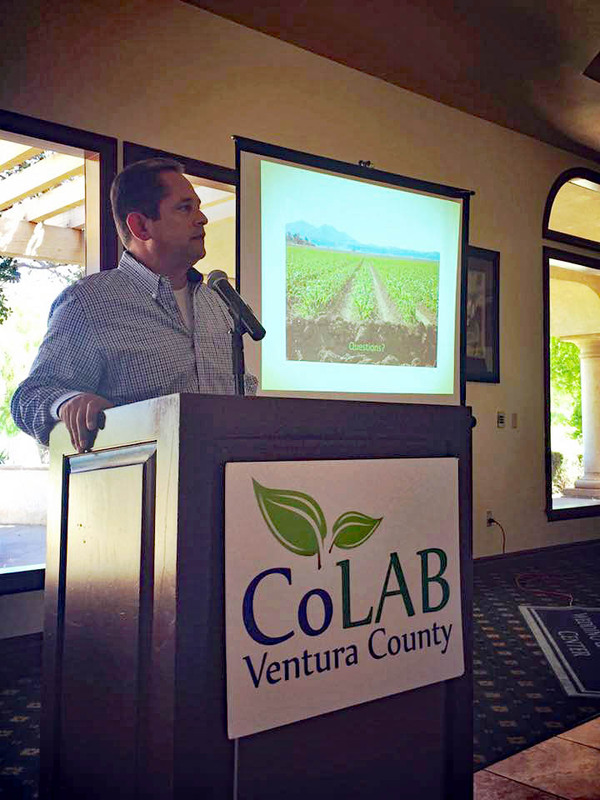 He discussed the recent Ventura County Board of Supervisors' approval of Agromin's request to expand its organic processing facility on agricultural land in near Santa Paula. Bill explained at the meeting how the board's approval will help the County of Ventura meet strict new mandates for green waste disposal scheduled to go into effect in 2020. For a more detailed discussion of Bill's comments, go to the October CoLAB newsletter: October newsletter.